Well, not too long Sega had announced that they were working on an update for the title. Sonic Mania Plus, as it’s called is an update to the game. With it comes a lot more content, however, we just didn’t have a release date. Well, now we do – July 17th, 2018. I know you’re all excited about that. Sonic Mania Plus will be available in two ways. Available in both a physical and digital release for the PS4, Xbox One, PC and Switch for $29.99. Or if you already own Sonic Mania, you can upgrade to the Encore DLC for $4.99. Definitely a lot cheaper than I expected it to be. Which also happens to be great news if you weren’t planning on picking up the game a second time. This update introduces several forgotten characters; Mighty the Armadillo and Ray the Flying Squirrel. The last time these two characters were playable was in the Sonic the Hedgehog arcade game, which was a Japan-only release. The competition mode is being expanded to support four players and an encore more. The latter of which adds new remixed zones to the game, complete with several visual changes. 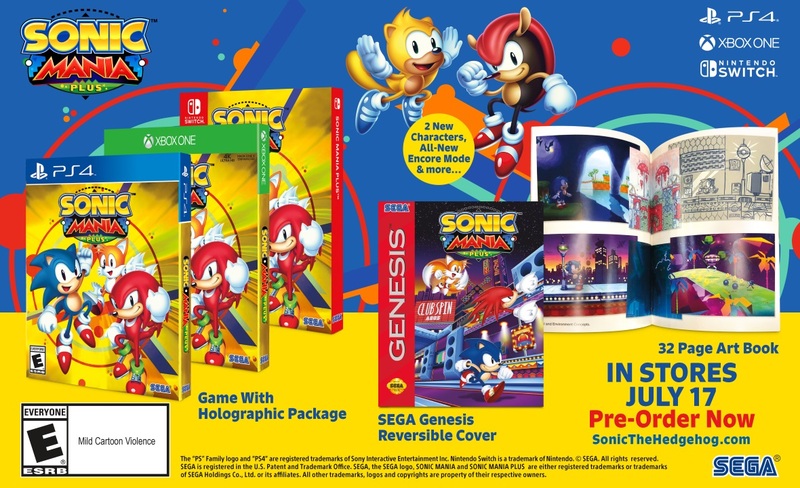 Lastly but not least, the physical edition includes a 32-page collector’s artbook, a reversible SEGA Genesis cover, and holographic packaging. You can see this in the screenshot below. 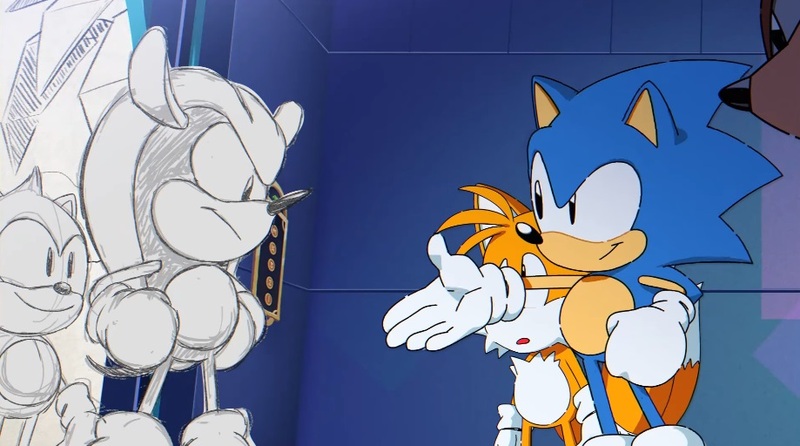 Definitely, something that fans of Sonic the Hedgehog and crew are going to want to snag. I know I am. Sonic Mania Plus will be available on the PS4, Xbox One, PC, and Nintendo Switch on July 17, 2018. Get ready!